Maybe it was last night’s reflection on Anthony Kennedy’s final day serving as a Supreme Court justice. Or maybe it was because I’m still recovering from the latest State of the First Amendment survey. In case you missed it, more than one-third of the survey respondents (40 percent) could not name a single freedom guaranteed by the First Amendment. Only one out of the 1,009 people surveyed could correctly name all five freedoms. That blows my mind, and I often think about what I can or should be doing differently to help move the needle outside the walls of my classroom. So today I began what I’m calling #Firstonthefirst. I made a commitment to talk to five strangers today and share with them about the First Amendment. I’m going to do it on the first of every month, and I hope you’ll join me. It’s easy enough to visit with folks in line at Starbucks or the grocery checkout, or colleagues at school, or parents on the bleachers at your kiddo’s sporting event. A few minutes of conversation can make a huge difference. I want the people in my community to know the five freedoms and to have a better understanding of why the First Amendment matters. To make a visual connection, I wore one of my First Amendment T-shirts, and I’ll do that for each #Firstonthefirst. There’s something about seeing those 45 words (or in the case of this shirt, my favorite of those 45) that makes it more memorable, and I hope to leverage the power of social media to spread this movement and get my students — and all of you — having these First Amendment conversations as well. Between March 14 and March 24, the SPRC shared legal and ethical guidelines as well as coverage suggestions for reporting walkouts, protests and marches. Because the topics are still ongoing and current, we’re loading all of our advice under one banner, for your convenience. If you have other questions or examples of coverage you would like to share here, please submit them through the comments section below. We intend to add material as needed or available. 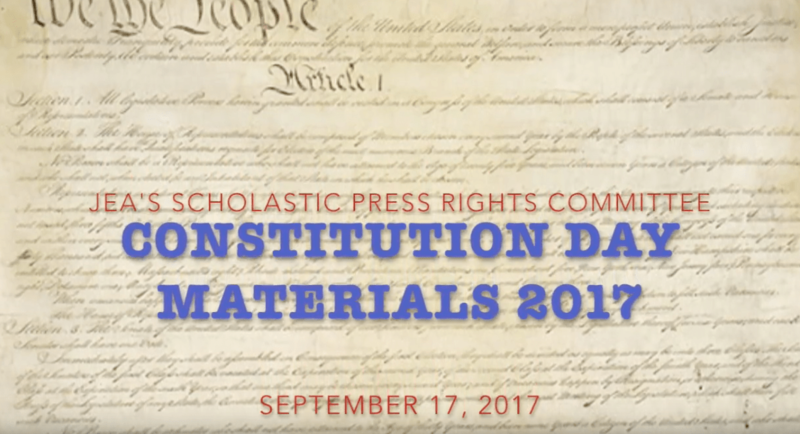 Constitution Day 2017 is approaching, and several members of the Scholastic Press Rights Committee have come together to provide you with materials to help your students understand their rights and responsibilities. These lessons provide particular focus on the First Amendment and the freedom of speech in general, but they would be appropriate and effective in any class that touches on issues related to history, the Constitution, citizenship or journalism. Since Constitution Day (Sept. 17) is on a Sunday this year, we’d suggest celebrating on the following Monday. For a quick preview of this year’s lessons, feel free to watch this video. Links are also provided, below, to the new materials as well as lessons from previous years that might be particularly useful. 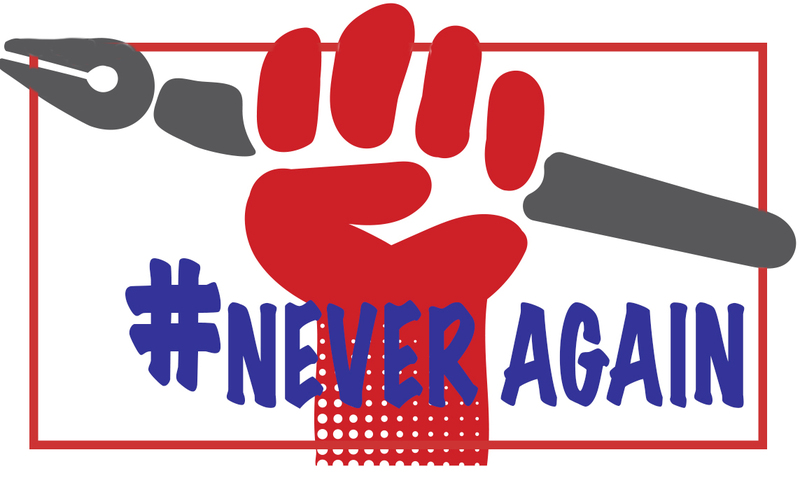 First Amendment School Dialogue, by Jeff Kocur: Guide your students through a class-sized (or whole-school) dialogue about the five freedoms of the First Amendment. Students will identify and evaluate the impact of the First Amendment in their own lives and the lives of others. The Importance of an Independent and Active Press, by Matthew Smith: Expose students to the many possible benefits of independent media in a democracy through quotes and video excerpts of world leaders espousing the necessity of a free press. Students will evaluate and discuss their own reaction to these arguments. Introduction to News Literacy, by Kristin Taylor: The freedom of speech and of the press come with responsibilities, too, and this lesson provides materials for recognizing different types of news media and coverage. Students will examine the credibility of news sources as well as examine their own media habits in order to beef up their news diets and avoid “fake” news. What’s in Your State Press Law?, by John Bowen and Lori Keekley: As New Voices laws spread across the country to protect student journalists, help your students understand what their state does or does not cover when it comes to student press rights. Students will examine their own law and create a dialogue with stakeholders about the benefits of protecting student publications. Sharing Your State Law with Others, by John Bowen and Lori Keekley: State laws protecting student press rights mean nothing if students, administrators, school boards and others don’t know what they mean or how they impact the community. For this lesson, students will create an action plan for the various groups in their community about the state legislation. Materials from previous years are obviously still available and relevant. The links, below, take you to the full list of lessons from each year, but we’ve also provided a quick suggestion of a lesson from that year that might work particularly well with the new batch we created.